Transcript from the Mike Church Show. Mike: Back to Jay in North Carolina. You had something to say about Justice Scalia before I so rudely interrupted you with my tirade. Caller Jay: No, actually you really supported the point I wanted to make. Unfortunately, I believe that if you ask any student today, and frankly probably any teacher, who fought the Revolutionary War, they would probably say it was the United States of America, which did not even exist at the time, and Britain. The point being, the various powers that someone like Scalia is claiming that he has are only granted to him by the agreement of the states that were involved in the drafting of that Constitution. That was the point I really wanted to make. I don’t know where he or anyone would say that right doesn’t exist. If anyone has claim it didn’t exist, I’d say King George would be the one that said the colonies do not have the right to secede. Maybe if we had unmanned drones back then that wouldn’t have been considered an act of war. Had he just written that “impel them to the separation,” we would not have this silly, stupid, historically inept conversation again, if he had just written, instead of “impel them to the separation,” which was 18th century for secession—secede, by the way, is not a dirty word. It’s a Latin phrase. It means to withdraw. It comes from the Latin secedere: to withdraw. You can say I’m going to secedere to the bathroom, you’re going to withdraw to the bathroom. There’s nothing vile. I’m going to withdraw to the kitchen, secedere. Had Jefferson used secedere or secede, impelled them to the secession, then this conversation would have little if any meaning whatsoever today. Because he wrote separation, there seems to be in the pea brains of some, that there is some kind of material difference. There isn’t. The spelling of the word is different, but the meaning of it produces the exact same result, doesn’t it, Jay? Mike: This is the other thing with this indivisible union garbage that they fabricated. This had to be fabricated because they had to have some justification for this. Lincoln invented this indivisible union. He went all the way back and said: The United States was created by one stroke of a pen, as one union, as one nation, on July 4, 1776. That’s funny, Abraham. The State of Virginia actually declared their independence, wrote their own constitution and raised their own flag over their capital on 15 May 1776 (they didn’t complete their constitution until 28 June, 1776). Look it up. It’s part of great American history. What were the Virginians doing? 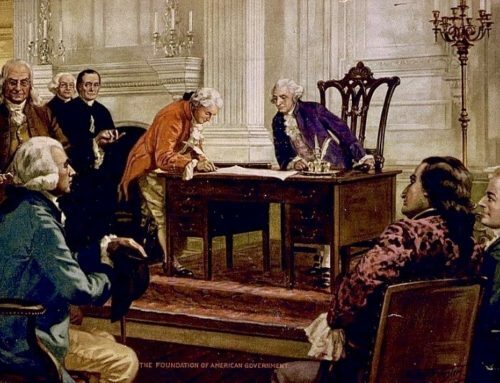 Did they, by any act of their legislature after that, trade their independence and their sovereignty into the new continental union that was put together to fight the British that had invaded their lands, their homes and their territories on July 2, 1776? The answer to that question is not even an unequivocal no, it is an irrevocable no. Then the idea [mocking] “The other states weren’t.” No, they weren’t. North Carolina, if they were already part of an indissoluble union, why didn’t North Carolina and the other twelve states then continue meeting? North Carolina didn’t finalize and even take the first vote on its constitution until December 15, 1776. I know about this because there’s a whole chapter in my audio set Spirit of ’76. I give you the story of all thirteen of the then colonies and how they declared their own independence. New Hampshire’s was a singular act. 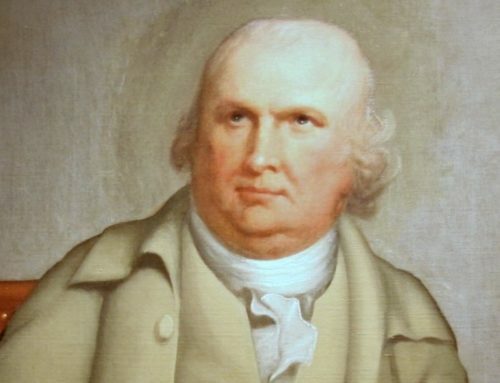 New Jersey’s happened before July 1, 1776. 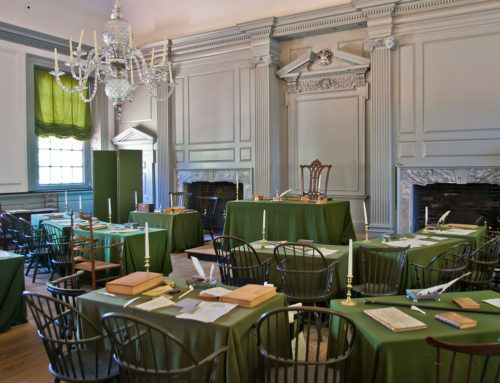 Pennsylvania was meeting in the room above the room where the Continental Congress was meeting and they were also discussing independence. I get carried away with this because it riles me that the history has been so polluted with mythology and what people want it to say that when you bring up what it actually says and what the source documents, the story they actually tell you, you’re some kind of a racist, hick, hayseed rabble-rouser and the truth be damned. Truth be damned, that’s wonderful, we should tattoo that on our foreheads around here, shouldn’t we? Caller Jay: It all blends in with the same comments you were making about honor and dishonor, and these days what is right will be called wrong and what is wrong will be called right. Mike: We also have perennial and perpetual deficits instead of surpluses. We have perennial if not perpetual increases in what children that are yet to be born are going to owe if they’re allowed to come into this world. As I talked about in the first hour, we are careening towards this fiscal cliff. We’re already over the fiscal cliff. The federal government starts the year $120 billion in the hole, which wouldn’t even cover the measly budget cuts that these nitwits are claiming are the end of the world. You know part of the fiscal cliff is the $110 billion they’re going to slice out of the almighty federal budget, increase, this year. That’s part of what’s in the fiscal cliff. If you’re $120 billion in the hole in the first month in October and the sequester hasn’t even happened yet—if the sequester was to happen, you would still wind up $10 billion in the hole for the first month, then you’ve got eleven more to go to continue racking up debt. There’s just no end to this tyranny. Caller Jay: I’ll leave you with this, Mike: the spending this general government does would make a drunk sailor blush. The only way to look at it is it’s just a down payment on the eventual secession. Mike: There’s another issue to be resolved—and that is if anyone is really serious about this, and I suppose that some of the people that signed the petition are serious about it. If they’re really serious about it, you have to petition your state legislatures and think seriously long and hard about rethinking the American Union. Although I believe it is a right, I am not a proponent of doing it just for the sake of doing it. You’d have to discuss it. You’d have to think about it. You’d have to gauge the interest of the territories and states nearby. For example, if you people in Texas want to do it, you better know what those on your borders think about it. What does Louisiana think about it? What does Arkansas think about it? What does Oklahoma think about it? What does New Mexico think about it? What do the states around you think about it? There are serious things to consider here. I believe in considering those things you might start some critical thinking and there may be an actual, bona fide threat to the federal leviathan’s tyranny that is reigning today. Maybe, just maybe, some cooler heads in that body might say: Maybe we ought to back off some of this and not spend all that money we’re going to spend. Maybe we should listen to these guys. I think they’re serious this time. Somebody (lots of somebodies) need to start this thinking. Because the current union is unsustainable. Will it last 50, 100, 200 years? Who knows. Maybe something will change. But the current union is unsustainable and if it continues in exactly the same direction and pace, it will collapse…..So somebody needs to start thinking….. Were Texas to secede, the Midwest, South, Mountain West, and South West would follow. Their alternative would be to live as minorities in a Marxist dominated union; in other words, they would join Texas because they have no alternative. This would be followed by “red” counties breaking away from blue states and joining Greater Texas. Once the new normal was achieved, you would see capital flight of biblical proportions as productive people flee the high tax, anti-white hells of “blue” America. The “blue” rump of America would go into terminal decline and foreign dependency as the border guards of Greater Texas do everything in their power to prevent a flood of “blue” refugees. At some point in the future, Greater Texas could elect to retake places like Detroit, NYC, D.C. and so on, but why would they? What would catalyze this? Economic collapse? human rights violations? or people just getting plain fed up? It is hard to say, but once it starts it will proceed with the momentum built up over decades of private disgust with the assault on America that was by the Marxists. I guess both “Caller Jay” and Mike have to take issue with those who wrote the Articles of Confederation (our “perpetual union”) and Madison himself then.